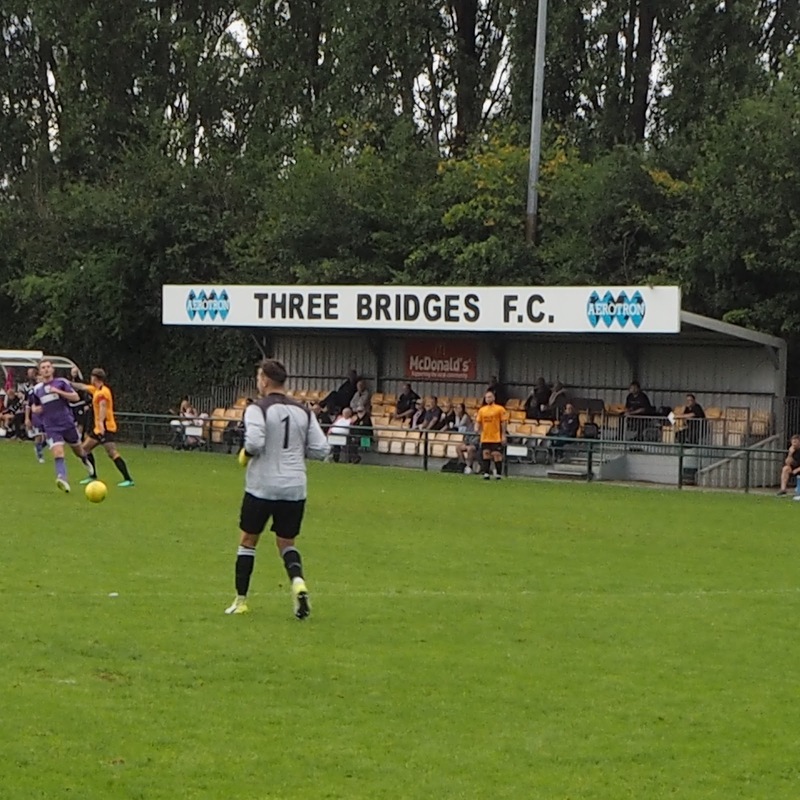 Three Bridges Jubilee Field ground hasn't changed since our last visit, other than they've shortened the pitch. A couple of small stands for the elderly and infirm, with hard standing behind each goal which again, if Monday is anything to go by, appears to be largely for the elderly and infirm. 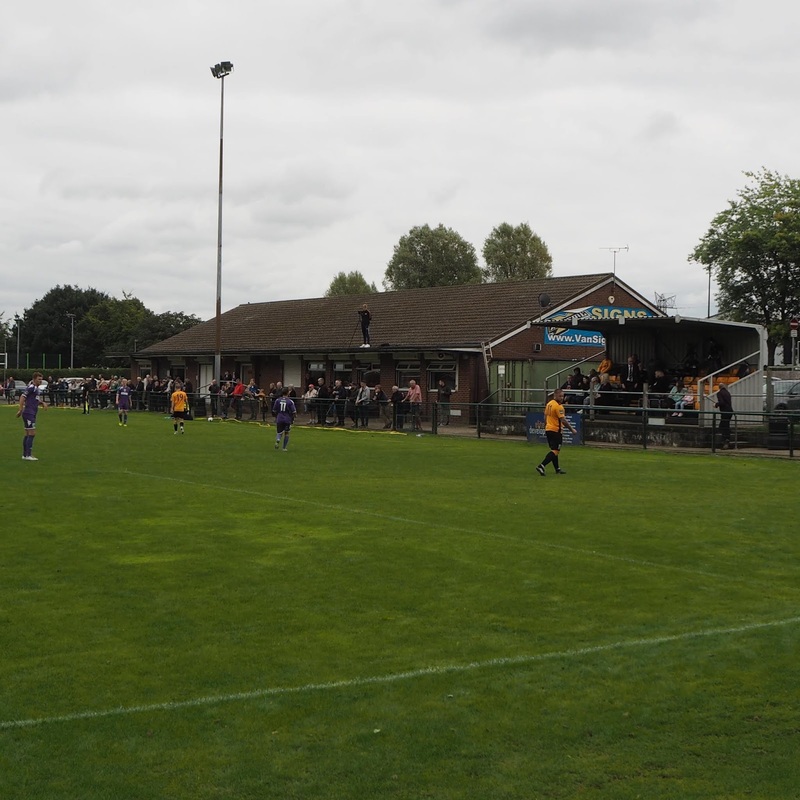 Good sized clubhouse in the same block as the teabar and dressing rooms with hard standing in front that seems to attract the bulk of the crowd. Five goals for us to celebrate amid scenes that I think it's safe to say nobody was expecting before the game. OK, the opposition on the day wasn't up to much but don't take my word for it, this is how their online match report puts it: "What can only be described as an absolute disaster for Bridges, who looked poor all over the pitch. 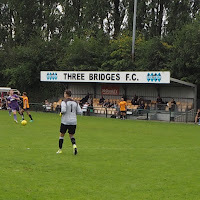 ............There were a couple of half chances for Omar Folkes in the closing stages, but this was an embarrassing performance by Bridges in front of a decent sized crowd." But enough of them, there was much to savour about the Guernsey performance. After one or two nervous touches in the opening few minutes everybody settled down and we looked comfortable in all departments. Gauvain, particularly, and Mahon bossed the midfield and Doddie marshalled the, yet again, reshuffled defence. Stanton did what he had to do. All in all, they provided a sound platform for the main event. Before the game we were wondering where the goals were going to come from but it soon became apparent. Lots of movement from Fazakerley and Smith, their joint performance suggested a partnership in the making. Add to that the more than able support of Messrs Rihoy and Loaring and the result was a torrid afternoon for the Three Bridges defence. Then Carlos Canha came on to create a scene of his own, only to receive a bang on the head shortly afterwards and sitting out the last 10 minutes or so on the sound advice of the physio. Nobody realised we only had 10 on the pitch towards the end, which probably explains Omar's two half chances. A word on Kyle Smith. He's looked like Bambi on ice at times, clearly able but seemingly lacking in confidence at this level. He had it in spades on Monday though, even throwing in a few step overs and, in the second half, selflessly setting up Will Fazakerley for his 'easy' six yard tap in. Encouraging news ahead of our trip to Three Bridges in that we have a squad of 16 travelling. A bit of a rarity these days and with Coach Pad also onboard there can surely only be one outcome, we'll find out what around ten to five tomorrow. Sad to see that Alex le Prevost will no longer be moving at pace across the greensward of the Isthmian League. Entirely understandable given the cards he's been dealt on the injury side over the seasons. Does leave a question as to what to do with the Tequila though. In other news, a newly launched window cleaning business is sponsoring a player of the month award, dubbed the Callum Stanton Trophy apparently. If you're going to the match tomorrow a reminder, in case you've forgotten, that Three Bridges (the area) doesn't have much going for it. So we'll be getting off at Crawley to visit the White Hart and the Brewery Shades. Should be in the White Hart around 11.30 with the choir master in attendance. If time allows we might make the Snooty Fox, opposite Three Bridges station, before heading to the ground. Anyone flying over for the day needs to be aware that there'll be about 30 minutes walking involved. As we trundled towards Whyteleafe, via Caterham on the Hill, the talk was of how many. How many pints would be consumed given it was another glorious hot and sunny day and it's sensible to pace oneself in such conditions. Also how many would we lose by; no outcome other than a defeat seemed on the cards following the manager's promise of a brave new style which would guarantee us conceding goals. It could however "give us a little bit of a niche, certainly against certain teams in certain games" (not to mention the lack of a full pre-season schedule). No, I haven't a clue what he means either and I had to make a quickish getaway after the game so didn't have the opportunity to find out. I will certainly endeavour to do so at Three Bridges. The King and Queen at Caterham on the Hill was a good call by Caterham Steve and the notion of pacing was soon abandoned. 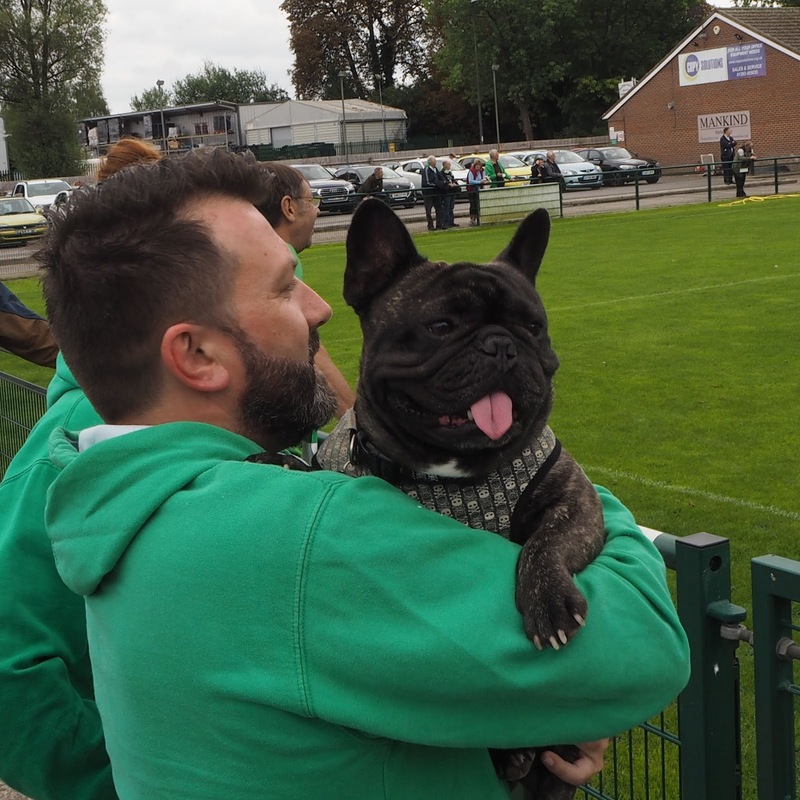 By the time we reached Church Road positivity, and more, was coursing through our veins and after Will Fazackerley's rather good goal we had 10 minutes or so to enjoy being top of the league. Even going in at one each we remained upbeat. Unfortunately the team forgot to come out for the second half, possibly something to do with that 'orrible purple kit they're forced to endure when there used to be a perfectly acceptable sky blue option available (with a nod to Guernsey's football history to boot). 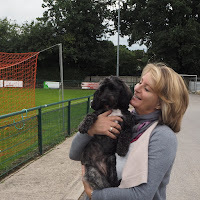 Incidentally, Whyteleafe didn't look that good themselves, probably a bit knackered after a full pre-season schedule. Having passed on the opportunity to subscribe to GFCTV (although you nearly had me with the line about subs being frozen lads) 'social' media was the order of the day for following our fortunes against Ashford United, then post match comments/reports. Impression gained was similar to Whyteleafe, decent enough first half but no chances taken this time, abject 2nd half. Played 2 lost 2 doesn't read well but it's not exactly a unique record in this league and we can be confident that we will come good. Thing is we don't know when, and therein lies the concern. With two going down again this season, clubs in the relegation mix will be doing whatever it takes to stay up. They didn't have to bother last season and geography isn't on our side in such a scenario. This season might be short on matches (17% GFCTV boys) but the road might seem longer and harder than before. So we need to get our nose in front of the pack sooner rather than later and, dare I say, the visit to Three Bridges would appear to present the perfect opportunity to break our points duck. Cancel any other plans you may have for the Bank Holiday, and get along to support the lads instead. The opening day of the Isthmian League season tomorrow sees us head to Caterham for an early kick off. We'll be in the King and Queen on the High Street from 11ish before heading down the road to Whyteleafe. Only certainty on the pitch is we'll be wearing the traditional purple. Read into that what you want but a good day out is predicted whatever.